The music of the 1980s is remembered for its sound, its attitude and its hair. 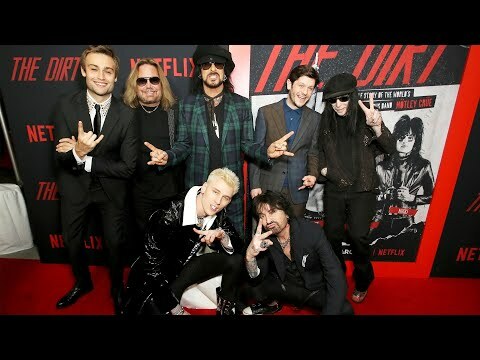 Pete Davidson and Machine Gun Kelly star in the new Netflix biopic “The Dirt,” which tells the story of one band that defined that era: Motley Crue. Based on the best-selling book of the same title, “The Dirt” shows how band members Nikki Sixx, Vince Neil, Mick Mars and Tommy Lee went from the Los Angeles Sunset Strip to global stardom. InsideEdition.com’s Mara Montalbano has more.